Heat oven to 350°F. Stir coffee crystals into warm water until dissolved. Cool. 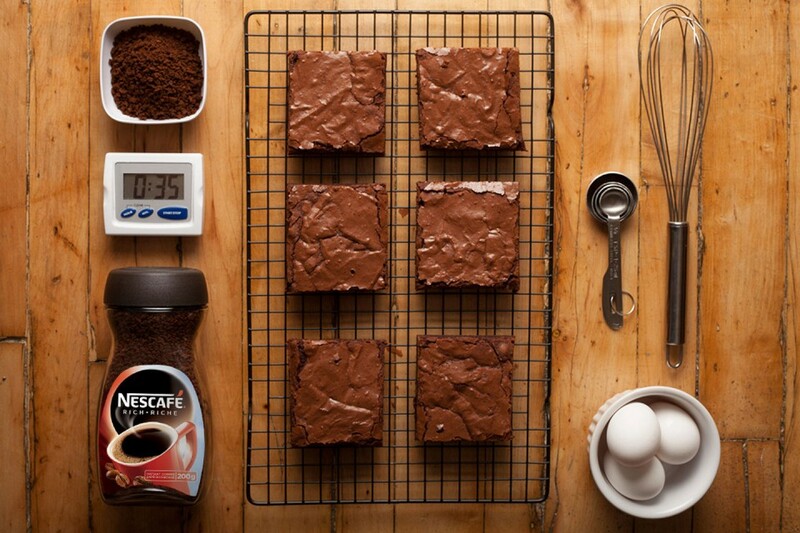 Prepare brownie mix according to package directions using oil, dissolved coffee crystals and eggs. Bake in 13 x 9-inch greased baking pan according to package directions. Cool completely. Sprinkle powdered sugar on top after the brownies have cooled to make it look professional. Delicious when served with fresh fruit!